Scooters have become a huge draw for kids today. They love them! 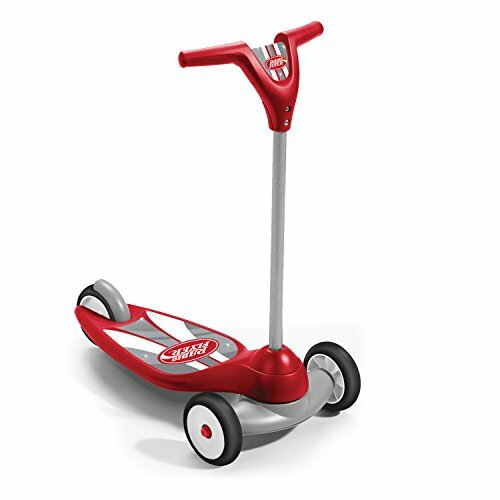 Not to mention scooter is a great tool for building motor skills and for improving coordination. Scooters offer kids more stability than a skateboard, easier use than rollerblades, and simpler mode of transportation than a bicycle. But for many parents, today’s scooters can be a bit foreign and difficult to understand – there are so many different varieties and brands available. 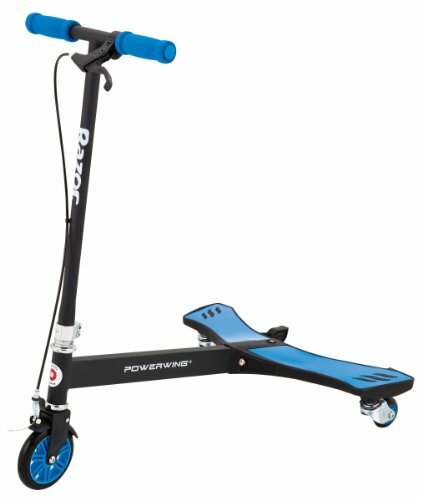 How can you figure out which scooter is right for your child? Check out this handy guide to help you make sense of scooters. 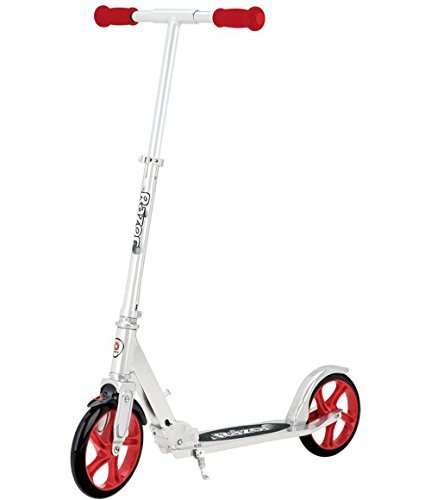 Kick scooters are the scooters that we traditionally think of when we think of scooters. These are also known as push scooters, traditional scooters, cruising scooters, or again just plain scooters! These kinds of scooters are great for getting where you need to go. Think of them like a skateboard with a tall handle, where the child places one foot on the scooter and uses the other one to push them along. These scooters come in tons of models and are widely available. 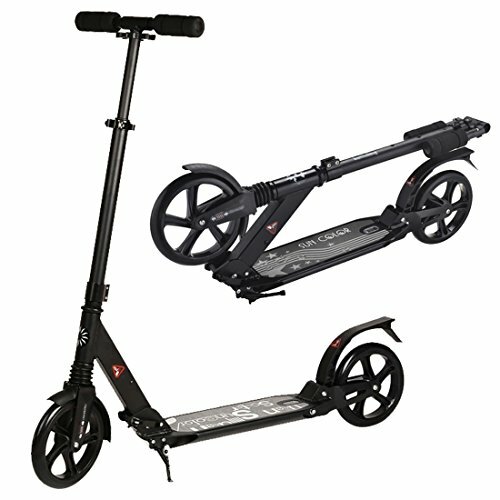 Kick scooters are really made for smooth surfaces like pavement, parks, sidewalks, and driveways. They don’t work so well on grass or rough terrain. 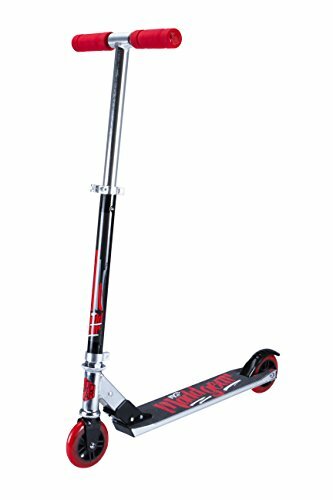 Also, these scooters aren’t easy to do tricks, jumps or stunts with. However, they do their job incredibly well and as such, they’re super popular with kids. Some even come with handbrake options. Ok, so this one sounds so simple – just a scooter with three wheels, right? It is kind of that simple though there are lots of varieties. 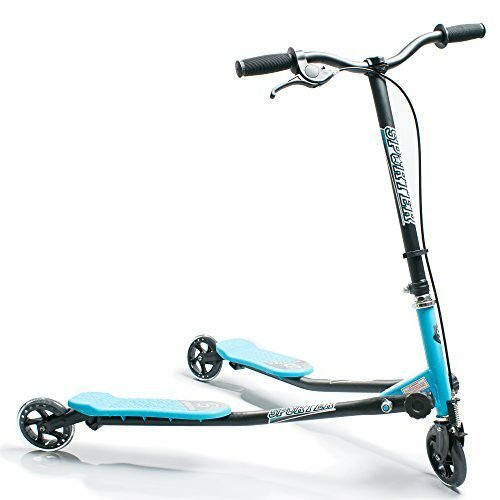 These scooters can kick scooters, and they’re great for younger kids who need some added stability in order to keep their balance. 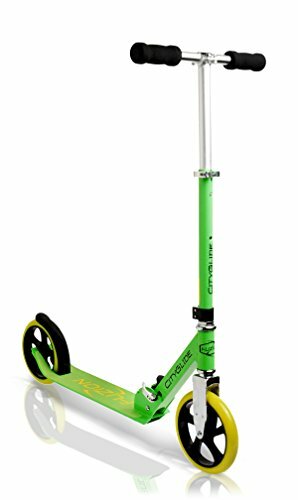 They aren’t just limited to younger kids, though, as these scooters are great for older kids and come in lots of styles that are appropriate for those older children. Some kinds of scooters with three wheels include scissor scooters and flicker scooters. These can be great for tricks and stunts, with several varieties specifically designed to do those tricks and stunts. These are exactly what they sound like – scooters that fold up. These are particularly good for kids who need some easy transportation, as they can just be folded up and put away when they get to their destination! Some varieties can fold up tight enough to fit into a backpack, so they’re perfect for kids who might need to get from home to the bus stop. 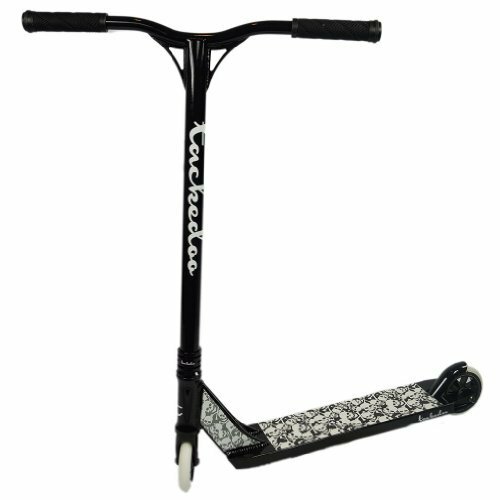 It’s essential to note that foldable scooters are not appropriate for stunts and tricks as they have the potential to fold upon themselves when lifted off the ground during fast-paced movements. If your child is interested in those kinds of tricks and jumps, then it’s best to look at something with more stability. Stunt scooter is precisely what they sound like – they’re for doing stunts! 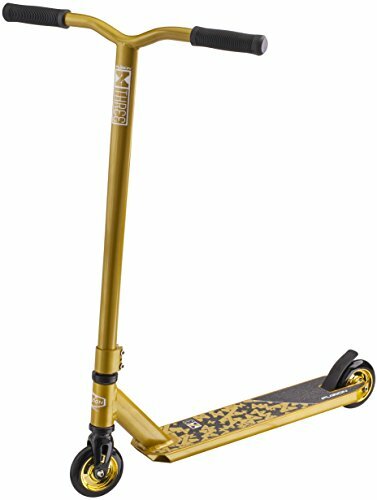 For kids who are interested in spending lots of time at the skate park, stunt scooters are definitely the ticket. These things can be pretty amazing, giving your child the ability to master all kinds of tricks and stunts, getting a ton out of their time outside. 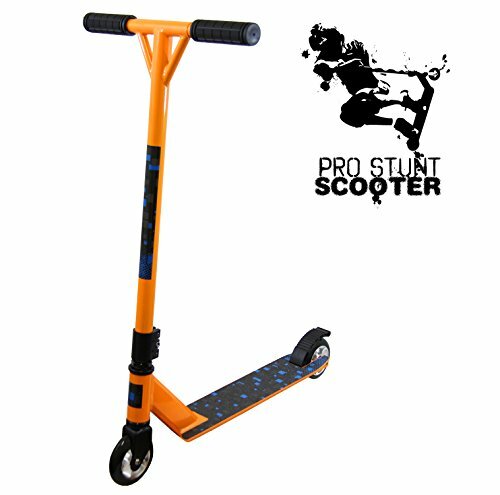 And stunt scooters are also great for building coordination and agility. 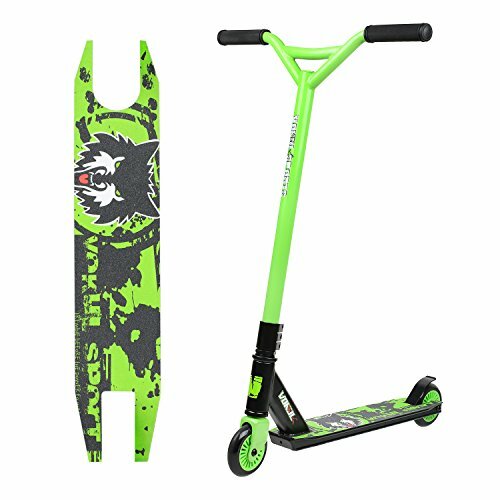 These scooters tend to have wider handlebars and are made of durable materials to allow them to withstand the impacts that come with doing stunts. They also are often able to spin at the base of the handle and have extra grips to allow for more stunts. Finally, you’ll notice that the handlebars are reinforced to take the impact that comes with tricks. Stunts and tricks with scooter are becoming increasingly popular with kids, who want to do more than just riding around! 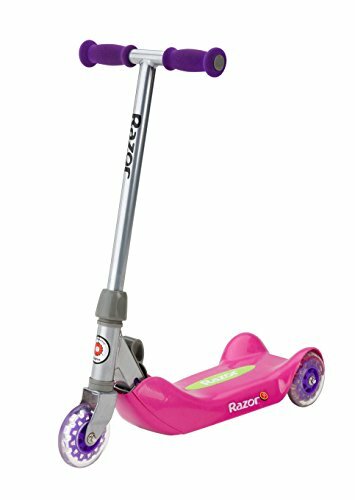 The most important thing to know when you’re thinking about purchasing a scooter for your child is to get something that is in line with their interests. Once you know what they’re the goal is, then you’re ready to find the perfect fit!